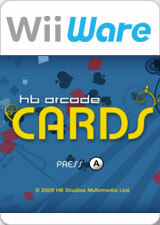 HB Arcade Cards is a great collection of fun and easy-to-play card games. The collection of games included in this title are: Rummy, Hearts, Euchre, Canasta, Cribbage and the always classic, Solitaire. Each game comes with an interactive tutorial to show you the rules and basic game play. You'll need to be clever to outsmart your opponents, and you can even team up with a computer partner to play Euchre and Cribbage. You can play Cards using a Mii character from your Wii console, or play with one of our 4 new characters. HB Arcade Cards has lots of style and flare, and will keep you coming back for more. Remember, it's never the same game twice! The graph below charts the compatibility with HB Arcade Cards since Dolphin's 2.0 release, listing revisions only where a compatibility change occurred.